Conditions that use Is member of for large groups. Conditions that use complex regular expression (regex) pattern matching. Conditions that use content checking in attachments. 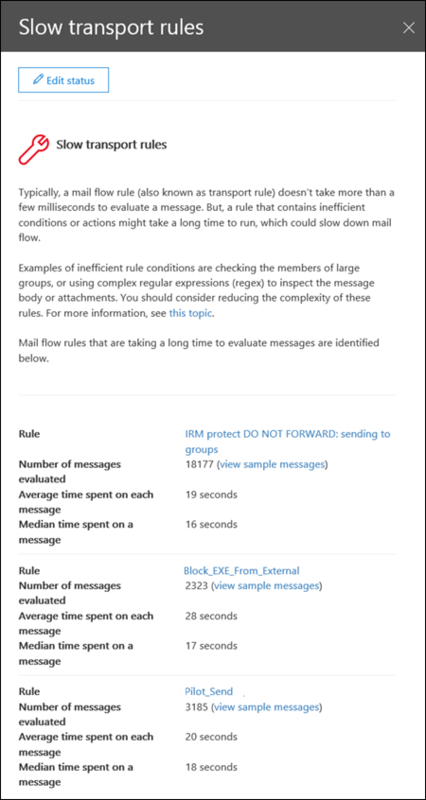 The insight will help you to identify and fine-tune mail flow rules to help reduce mail flow delays. When you click View details, a flyout pane appears where you can review the rule. In the flyout pane, can also click view sample messages to see what kind of messages are impacted by the rule. 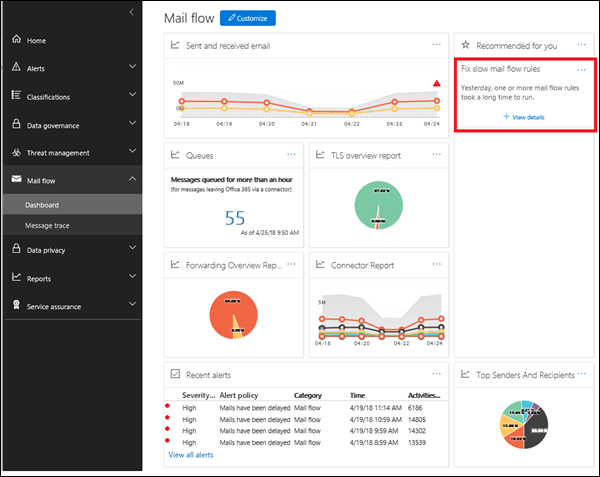 For more information about other mail flow insights in the mail flow dashboard, see Mail flow insights in the Security & Compliance Center.